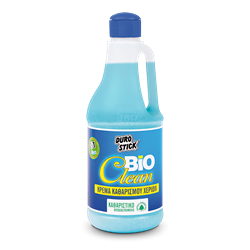 Biodegradable cleaner that does not contain allergens, ammonia, phosphates and any petroleum derivatives. Human and environment friendly, per the european directive EC 648/2004. The specific directive governs the composition of detergents with respect to their biodegradability. It does not irritate hands and it does not cause any inhalation related problems during and after use. It thoroughly cleans the hands, without causing irritation and allergies. It has a fresh scent. It dissolves grease, oils, ink, smudge, paints, tar etc. Necessary for car repair shops, plumbers, mechanics, blacksmiths, painters, printing specialist etc. 500ml, 5lt with hand pump.